Laser: 1 red laser (650 nm wavelength) of 100 mW, and green (532 nm wavelength) of 50 mW. 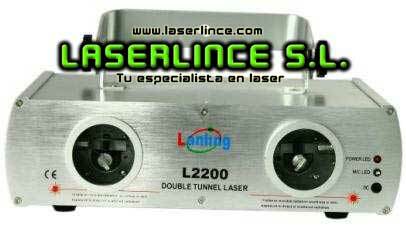 Features: The double tunnel green laser, the beams are compages, more than 100 laser patterns, over 300 laser effects. Advanced design program, four modes in one: Sound Active, AUTO, DMX512, Master/Slave for different applications. Interface: 3 pins XLR jack for DMX or Master-Slave linking. Food: 110V or 220V-250V AC, 50/60HZ, 30W.